Douglas P. Zipes, from the Foreword. Over the course of three previous editions, this book has become the acknowledged gold standard reference on the electro-anatomical mapping of the heart. This new edition features greatly expanded coverage—the number of chapters have doubled to 80 with 40 new chapters—on leading edge science, new clinical applications and future frontiers, authored by a who’s-who of global electrophysiology. 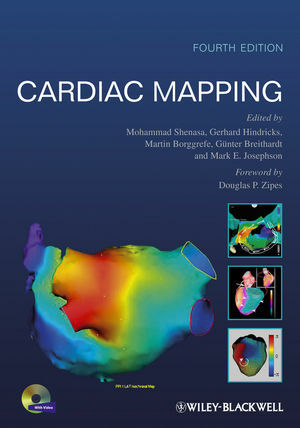 The only state-of-the-art, stand-alone text on this dynamic subject, Cardiac Mapping is an essential resource for basic scientists, clinical electrophysiologists, cardiologists and all physicians who care for patients with cardiac arrhythmias.